​A quick glance at the state of our planet, our working lives here in the UK and the environment should be raising alarm bells. Yet I don’t hear a single jingle of one solitary bell. Here is a quick guide to some of the infuriating stories you may have missed. • Russia has been removed from the Human Rights Council and replaced by… Saudi Arabia. One of the worlds worst human rights violating countries. • UK is now officially the world’s second biggest arms dealer in the world. Including to a number of human rights violating countries including Saudi Arabia. • Mainstream media make little to zero mention of the Carbon dioxide levels in our atmosphere reaching 400 parts per million. The point at which the UN deems irreversible. • Evidence shows that the limit set in Paris last year at the climate summit of a maximum increase in global temperatures of 2 degrees… is set to be breached. • The answers to the UK’s road capacity problem is to build more roads, rail crisis to build faster railways, air capacity to build another runway, energy crisis to spend billions on a nuclear power plant that will only supply 6% of people until 2050 at inflated prices for the populous, whilst simultaneously cutting subsidies on Solar energy and investing next to nothing in alternate energy sources. • This year London failed EU air quality limits for the entire year 2016… within the first month. • We now retire at an older age than ever before and work longer hours for less pay. • Today’s generation will be poorer than the last generation. An unusual statistic. Tell me, what part of politics do you not care about? Tell me why you don’t care what world we are leaving to our children… YOUR children. The longer we ignore this mess the worse it will get. Yet the mainstream media just wants to talk about Brexit, the politicians just want to talk about Brexit, some the public just want to talk about Brexit and a huge part of the public just wants to bury it’s head in the sand in regards to anything to do with Politics full stop. 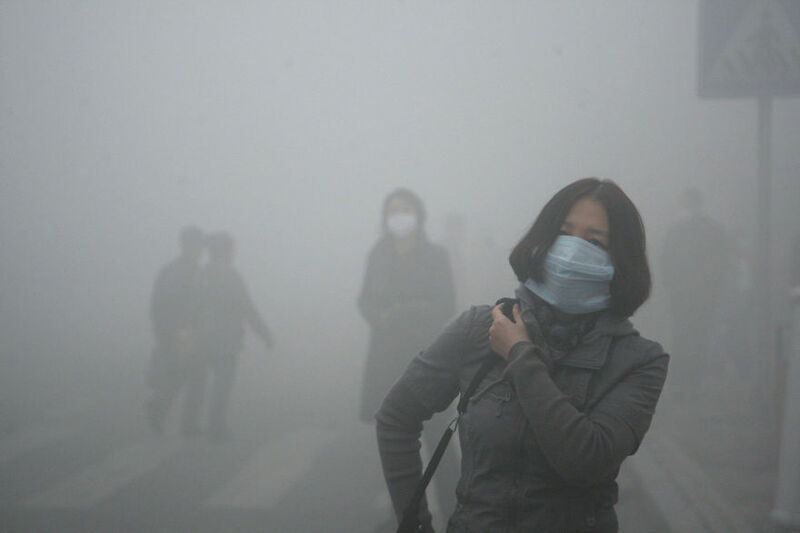 If the environmental crisis is so severe as the experts say and yet our politicians are not taking any serious action and our media barely give it a mention what is actually going on? Perhaps either the politicians are for one reason or another lying about the severity of climate change and things are not as bad as is being protrayed or perhaps they know full well the severity but also know they can’t do anything about it and all they are actually trying to do is simply slow the process down rather than reverse it. Resigned to a foregone conclusion they can’t reveal to us, the people. How else do you square the hole of the severity of climate change Vs reaction to it being so at odds with each other? Isn’t it time we all stood up as one voice to bring about real change? After all, your children, our children demand that we do otherwise we condemn them all. Aleppo: Government forces with the backing of foreign nations try to retake the city of Aleppo, Syria, from the hands of Islamic militants backed by U.S money and arms. Civilians used as human shields by Islamic militants suffer as the battle rages around them. Mosul: Government forces with the backing of foreign nations try to retake the city of Mosul, Iraq, from the hands of Islamic militants backed by Saudi money and arms. Civilians used as human shields by Islamic militants suffer as the battle rages around them. The similarities are startling. Of course many will cite the indiscriminate bombing of Aleppo as a major difference and it’s true that the bombing in Aleppo is indiscriminate. It’s also true that a full scale battle will surely ensure in Mosul in days and weeks to come and then the civilian casualties will rise immeasurably. What then the difference between indiscriminate bombing and a slow-motion destruction of a city and its people. Both outcomes will not be good for those of either city. Perhaps then in the end the only difference is one of methodology rather than intended outcome. That wouldn’t be apparent from the way things are being spun in the media. The media is quick to show the US and Iraqi forces as heroes ready to liberate those in the militant held city of Mosul, whilst the Syrian forces in Aleppo are the enemy killing civilians randomly with as little mention as possible about the militants holding that city by force. As much as the people of Aleppo may see the militants as their revolutionaries in some ways they are also surely blinded by the fact that their continued hold on the city is leading directly to their deaths. Human shields by any other name. The intended outcome for both cities is the same, to rid it of militant Jihadists, both of which are funded by foreign nations and as it turns out the U.S and the West must take some responsibility for what’s going on and in Iraq that’s what they seem to be doing, after all after what happened during and after the Iraq war they have every reason to right their wrongs but what of Syria? The West has openly and on record admitted that they are funding and arming the rebels, these are the same rebels that are now embedded into Aleppo and in many people’s eyes using the civilians as human shields. Perhaps if the US and West had not backed the militants like they did this war would have been over a long time ago and Aleppo would now not be under seige. No one, least of all us, is saying that what Syria and Russia is doing in Aleppo is the right way to do things, far from it, the casualties there are too much to bear for any sane person to think otherwise but the truth is there is no easy way to rid your country of terrorists and in any case the damage is now done because whatever happens in Syria now, if Assad stays or goes the US has opened another pandoras box that can not be closed again. The Jihadist groups are now in Syria and even when the war is over it would take an extreme optimist to think things will now ever return to how they were before and what then for the people of Syria? Even when the Syrian conflict is over regardless wether Assad steps down or not the likelihood is that the Syrian people will not see peace for many years to come and the US will once again be seen as the ones which led them to that moment in time when stability in Syria ceased to exist, regardless of who was in power at the time. The West may, in the end, get what it wants regardless how this plays out. Just days ago Adam Curtis, the documentary maker behind the film ‘Bitter Lake’ released his new film called HyperNormalisation. At around 3 hours long it focuses on how the politicians and the elite gave control of our lives to the banking and financial industries. It also though looks primarily at how the politicians have manipulated the true narrative of international conflict to fit their own agenda and how it’s become the new norm to accept what we are told. It also looks at how, essentially, dumbed down we have become via the TV, Internet and fads. We use it to escape the harsh realities of our world that we can barely understand anyway. In the documentary we learn how New York in the mid 1970’s went bankrupt and how the city handed control of it to the banks and how the banks then paid off the cities debts at the expense of the people. We learn how the financial systems became all controlling of every aspect of our lives. We learn how America and the West manipulated the public into believing that Libya was responsible for multiple terror acts when the evidence pointed at Syria, then when the West were about to name Syria as being responsible for the Lockerbie bombing they formed an alliance with Gadaffi of Libya to take the blame for the bombing instead. This article though will focus on one smaller aspect of the film, that of the effects of that manipulation on activism, protest and anti establishment feeling and how the Internet has enabled the authorities to keep you, the activist, quiet. The video below was just one moment of a few in the film that makes it absolutely clear that the ability to change the opinions of others is lost in our own self made echo chambers. Perhaps the single most stark example I can use is that of the supporters, of which we include ourselves, of Jeremy Corbyn. 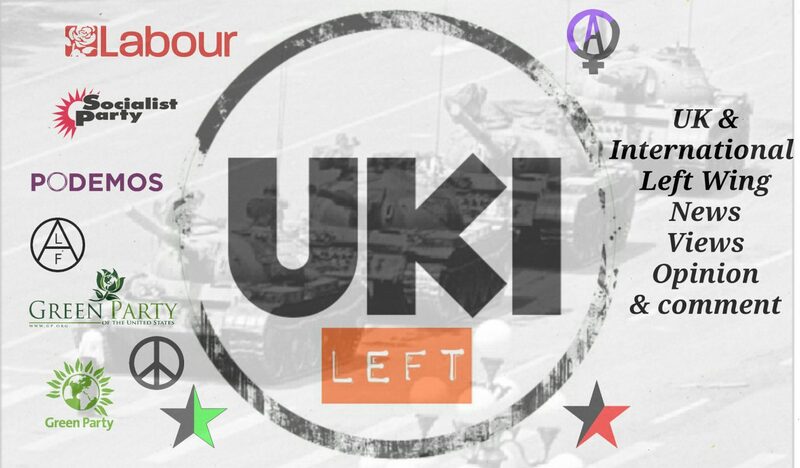 Those of us on the left know that the policies and message that the likes of Corbyn brings to the table are fair, just, progressive and much needed in a world of corruption and lies yet we wonder why the wider public, the swing voters have not yet heard his message and why they haven’t listened to us, his supporters. There is of course one seemingly obvious answer and that is that the mainstream media are too right wing to consider supporting his polices and thus produce a narrative that goes against Corbyn and what he stands for. In turn it’s easy to see why the public are as of yet not seemingly supporting Labour. We can also look to the destabilisation caused by the PLP. What though of the power of the Internet? A place where Bernie Sanders against all the odds almost became the democrat nomination for President, a place where Donald Trump may still yet become President of the United States. A place where the online movement rallied for Jeremy Corbyn and also where the word spread of the Occupy movement and of course Anonymous. Why has this not translated into victories for Sanders and wider public acceptance of people like Jeremy Corbyn? Why have the activists not been able to organise significant numbers against the establishment during protests? They have millions of people they can reach on the Web in the UK alone to spread the message to. Yet often a 5,000 person turn out tends to be an average attendence for those protests? With so much wrong in the world and with so much corruption why are there not 100’s of thousands on the streets demanding change? The answer lies not just in the distractions provided by TV, gaming, the arts and music but of our echo chambers and the systems in place to trap us into those echo chambers. ‘HyperNormalisation’ showed that corporations like Facebook and Google lock us into a gated world where much of our lives are contained within and like much of the Internet our movement and likes are monitored by those companies, they collect tons of data about us that tells them what we like and want to see more of. In turn the corporations provide us more of the same. Constantly seeing content with nothing but confirmation bias, articles and videos that mirror exactly what we want to see. After all it makes good business sense for you to like what you’re seeing and the likes of Facebook get ever more rich and ever more powerful as they use all that collected data to target you with advertising. You though don’t notice and you like the content you see, so you’re happy. Never questioning what is really going on in the real world. As a left winger I will rarely see articles or content that contains Conservative policy and likewise the right wing or non politically engaged will rarely see any left wing Labour content. The non political will likely get their information still from the mainstream media and funny cat videos. They are as disengaged from the political system as if they had never explored the Internet. It’s these people that will never hear the message that Corbyn supporters want them to hear. Their message will only ever reach those that already agree with them. If we are immersing ourselves into a world of mirrors then what hope of convincing others that there is an alternative to the status quo, a world beyond their own set of mirrors? We need to find a way to get the message out to others that there is an alternative and it’s up to each of us to find a way to do that. Whilst the activist movement was lost in the 80’s perhaps it’s time the activist movement found itself again, not with gimmicks or tactics that no one understands or even where activists are manipulated by movements supported by politicians, the very people who are part of the order of control and manipulation but with movements that are built by ordinary people with a clear message that everyone understands and that galvanises more than just their own groups. Activism that creates a common message where the policies of the likes of Jeremy Corbyn will be heard. Where the end result of those actions can’t be avoided by the mainstream media and more people will hear the relevant message. Activists must now realise that the online world can galvanise those who already agree but so often fails to galvanise anyone else. If we want change to come quicker then we need to do far more than talking back to ourselves. 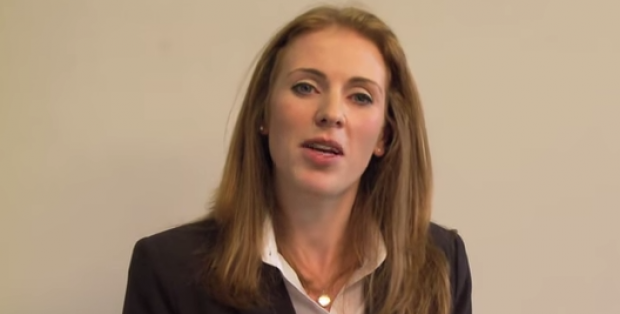 Woman in waiting: Why Angela Rayner must succeed Corbyn. #teamrayner Angela Rayner has burst onto centre stage since Jeremy Corbyn first became leader of the opposition just over a year ago. She is currently shadow secretary of state for education. 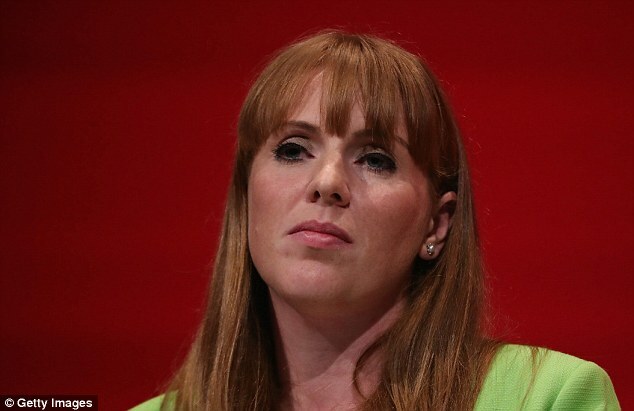 Angela Rayner only came into politics in 2015 having been elected as an MP in her constituency of Ashton-under-Lyne, Greater Manchester in that years election. In doing so she increased the Labour majority by 1.4% from the previous election in 2010 where despite holding Ashton-under-Lyne Labour had decreased their majority by 10.1%. The last time it had a Conservative MP was in 1931. What is it about Angela Rayner that has made her so appealing to Labour voters? It’s been a long time since Labour had a female politician that many would be convinced has the all round capacity and virtues to become leader of the Labour Party. Yes, there are other worthy female candidates who are more experienced and in some regards better in their fields of expertise but none come close to presenting an overall image of a leader and that’s one criticism that has been thrown around of late. In our humble opinion John McDonnel whatever happens after Jeremy Corbyn will have become too associated with his current campaign, as fine a candidate as he might be. Clive Lewis is not quite the speaker you might want compared to Angela Rayner, we find him not quite as ‘authentic’ he comes across a slightly forced and scripted, even if he is of the left leaning mould. Richard Burgon suffers the same problem in his speaking in that he does have a habit of not making a killer point which is needed in politics when you’re facing down the opposition, as much of a great comrade he is. As for Dennis Skinner, perhaps he is just on the wrong side of his political career and in any case he has previously stated he does not want the job. What each of them lacks though is the fact they are not female. We would be one of the first to say that a job should not necessarily be given to someone simply based on their gender or race but in this case not only is she a woman but she also has the right credentials even if she does lack a little experience. That combination must be given serious consideration by future leadership voters. It’s common knowledge that Rayner went to a comprehensive school in Stockport and left school without any qualifications whilst pregnant. She went on to work for the local council before becoming a carer and also eventually became a local branch rep for UNISON. 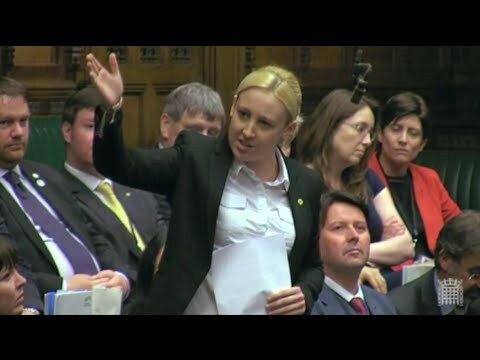 Whilst it’s not quite the same, her recent beginnings in politics and quick rise to fame echoes that of Mhairi Black of the SNP. Another future leader in the making. We should look to take advantage of the new blood in politics, it will lead us towards a more honest and understanding politics. Something Jeremy Corbyn has tried to do in earnest and long may it continue. 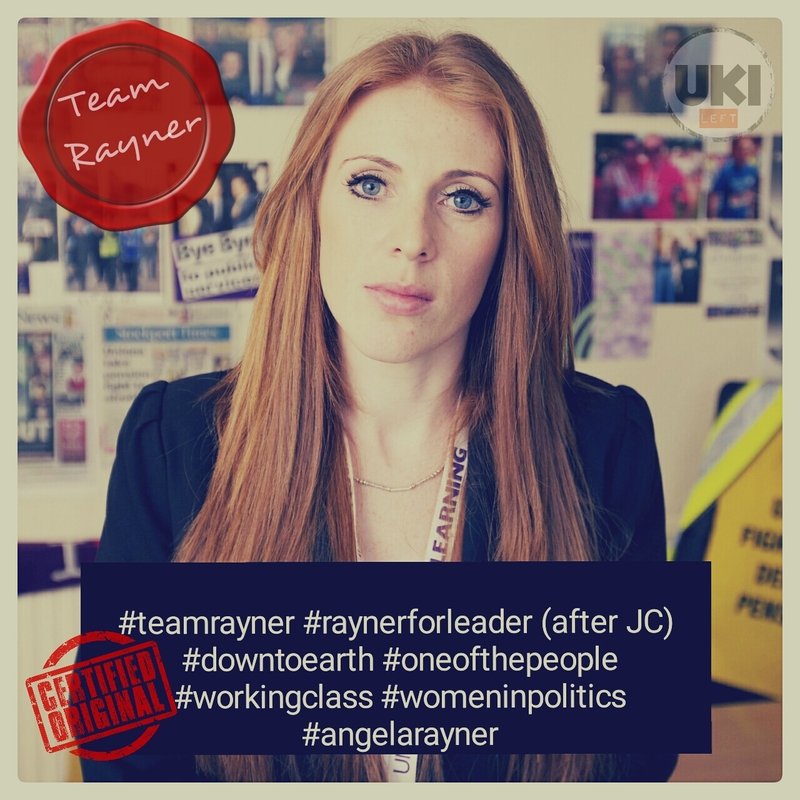 We are asking our blog readers, facebook page followers, twitter followers and as many Labour supporters as possible to get behind Angela Rayner now with vocal and visual support for her future nomination and her eventual leadership challenge with our #teamrayner campaign. This is categorically not an attempt to oust Jeremy Corbyn, just in case the conspiracy police come knocking. We support Corbyn and wish to see him become PM. This is purely an early fan movement to provide solidarity for an eventual leadership bid. One day. It will be run with the upmost consideration for Jeremy Corbyn and will for now provide updates on what Angela Rayner does in parliament and in the press. 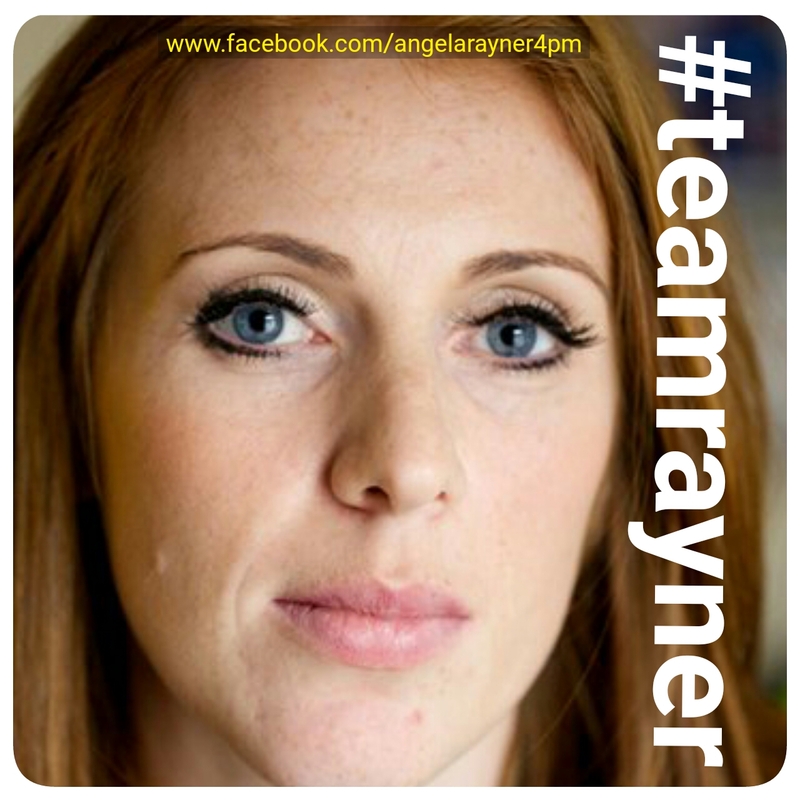 Click here to Join our Angela Rayner for PM Facebook page and start sharing the hashtag #teamrayner. 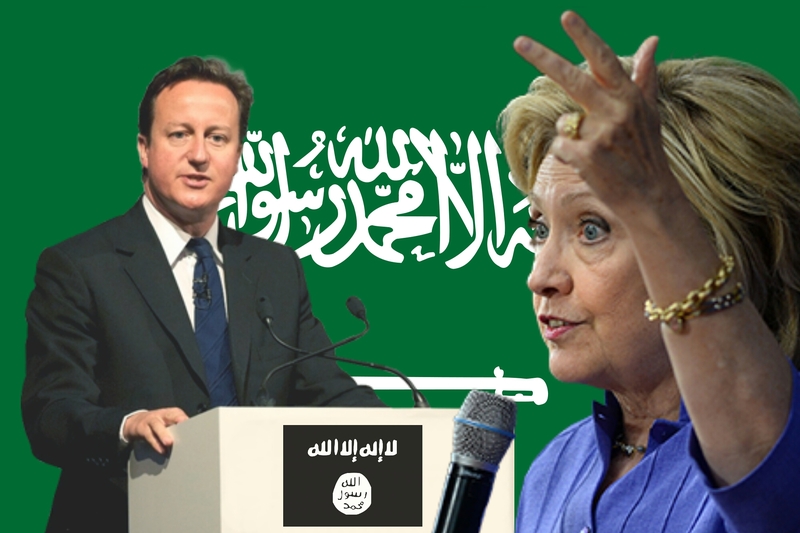 Hillary Clinton knew Gulf States were funding ISIL. Did David Cameron know? In the last 24 hours news has been breaking around more leaked emails by Wikileaks again centering around US presidential candidate Hillary Clinton. 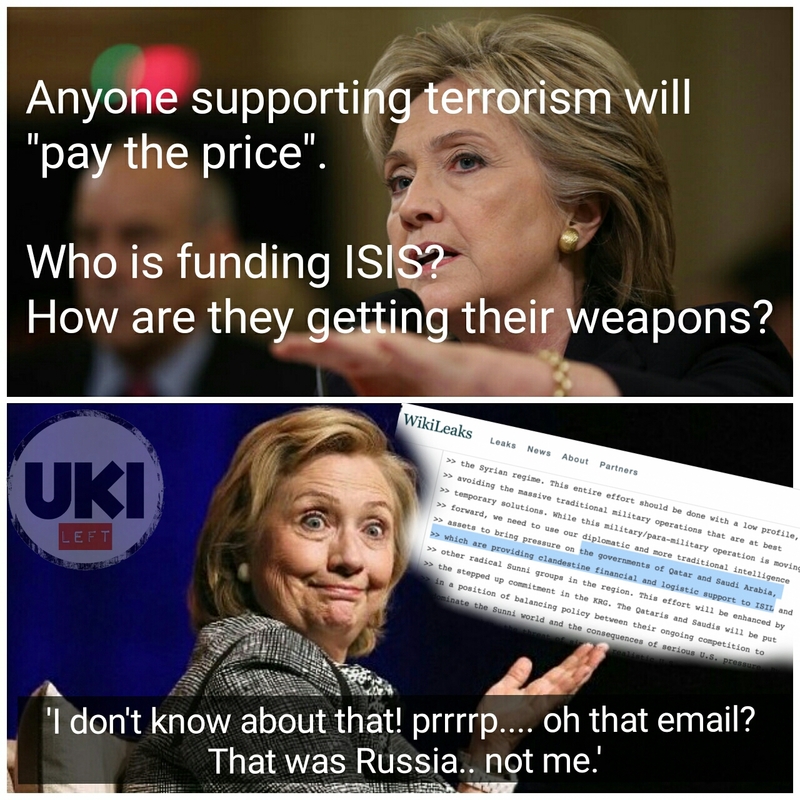 The email shows that Hillary Clinton knew that Saudi Arabia and Qatar were funding ISIS. The US press has been slow to pick up on the news and Hillary Clinton’s campaign are already shutting the door on the story. They claim it’s a ploy by Russia to help elect Donald Trump into the White House. Of course all this means that the constant denials about US involvement or knowledge of who is funding ISIS was a lie and to make matters worse both of these nations are meant to be our allies. We supply arms to these regimes in multi million dollar (and £) contracts and Currently Saudi Arabia is committing war crimes in Yemen with those weapons. Saudi has for a long while been known to be the originating country for Wahabbism, an extreme version of Islam which ISIS base their beliefs. It has previously been revealed in documentaries that Saudi funds some specialist religious schools in the UK. It’s also pertinent to note that recent evidence hints at Saudi involvement in the Twin Towers attack on 9/11. This is an untenable situation for Hilary Clinton and the entire establishment. It also raises questions of David Cameron, former Prime Minister to the UK who did a deal with Saudi Arabia to ensure that Saudi got to the top of the Human Rights Council. The UK also sold arms to Saudi and it’s hard to imagine that David Cameron would not have also been aware of their involvement in state sanctioned terrorism. 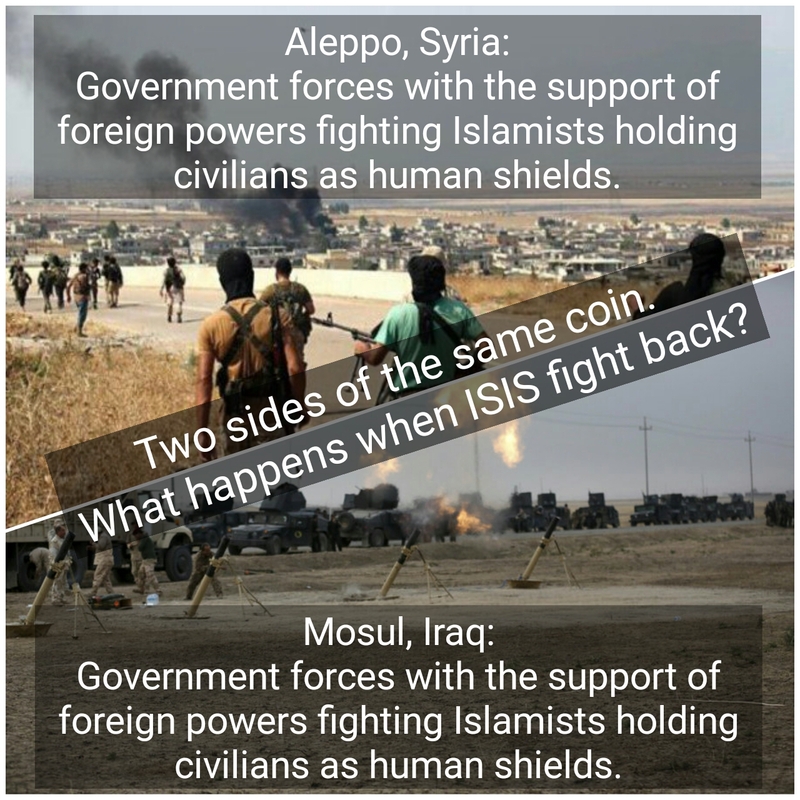 It also raises a final question of just who are we supporting in Syria? You may have missed recent news reports that seem to suggest we are heading towards some kind of major stand off with Russia, it would not be scaremongering to suggest a scenario akin to a new cold war if not worse. ..and this from our very own Boris Johnson. “…Foreign Secretary Boris Johnson has called for “demonstrations outside the Russian embassy” over its bombing of targets in Syria. There have been other comments from senior military figures in the US and politicians on both sides of the Atlantic in regards to Russia that would give cause for concern. We though think that the solution is all too simple and with so many people dying in Syria it’s crazy to even threaten to take the conflict further, even if you don’t actually intend to go through with anything. The Syrian people need this to end and it’s as easy as 1..2..3. The US stops funding and training terror groups. They already admit doing this and it is fuelling the conflict by allowing the terrorists (you’ll have heard of them described as ‘moderate rebels’) to continue their battle against the Assad regime. The US agrees to assist Russia and Assad in pushing the terror groups back out of Syria to where they came from. In doing so a significant ground offensive could be concluded against the terrorists thus minimising further civilian casualties or Western forces could use surgical strikes, again, to minimise casualties. (Alternatively the West still stops backing the terrorists but leaves Syria alltogether thus the war will be over quicker. For the West to go against the terror groups now may ultimately create more hardline terrorism against the West.) Editor: This war on terror really doesn’t seem to be working does it? Once complete, the US and it’s allies get out of Syria but only once stability and rebuilding has been completed to Aleppo and other cities. Goal reached. Syria sees no more major conflict. Terror groups have been largely dismantled and normality can resume for millions of Syrian men, women and children. Meanwhile a major conflict between Western and Eastern powers has been averted and we can put Hilary Clinton back in her box. The humanitarian crisis ends and the Refugee crisis can be stopped in its tracks. What’s the alternative? Five more years of conflict? A world stand off between nuclear nations? Thousands more innocent civilians dead? Cities reduced to rubble. Of course many will say that Syria and Russia are the ones that could stop but there are several factors to take into account. This is Assad’s country, he is the leader, he is not universally hated within his country and Russia are there via his invitation. Assad is now defending himself against multiple US backed terror groups and will also have to deal with ISIS in his own back yard. His method however is the cause of much bloodshed but then this is not a nation with huge military resources nor the latest equipment and we must also remember that if Assad paused on account of collateral damage then the terrorists would forever be in his backyard. This doesn’t make his actions right nor acceptable but in a cold factual way he is doing what we might expect, having taken everything into account. The West with their modern equipment, superior moral code (allegedly) and a gold mine of specialist talent on hand, it is incumbent on us to finish this now, for the good of the innocent people. We can end this. The very fact we can end this but choose not to is a crying shame for our own democracy. ​”I would grab her by the (ladies genitles)” is quite simply a pathetic comment made by someone who in reality has little confidence in themselves and masks an underlying personality issue. In fact it’s simply juvenile, I don’t think there are many men who have not made what would be seen as a juvenile sexual comment in their adult life, if perhaps not as crass as this one as said by Donald Trump. The media has gone to great lengths to castigate him and ruin him. The reality is though that this isn’t that bad. So why the outcry? Wait wait!… I hear the screams of misogyny coming through the screen already but think about it.. this is the man who said Muslims should be banned until further notice, this is the man who said Mexico is sending it’s rapists to America and then promised to build a wall between Mexico and America whilst making the Mexicans pay for it. This is the man who has made countless sexist comments… and people are hung up about a chauvinistic private comment said 11 years ago!? Are you surprised? Truly, are you? Who didn’t already think he was a chauvinistic pig? America has never been so disengaged with its choices for President and it’s easy to see why when you look at Shillary Clinton and Donald Dump. On one hand a total moron, a first class dickhead but you know he is… he isn’t even hiding it. On the other hand you have perhaps the most deceitful Presidential candidate in history. She may not have been charged with any offences over the email scandal but combine that with the Benghazi scandal and the Clinton foundation questions and you have to start to think… would I rather have someone who I can clearly see everything he does or someone who will do everything in a hidden way and to the detriment of the country, at least Trump does claim to have workers at the heart of his policy making. Hillary will just continue courting the elite and banging the war drum. This may sound like an endorsement of Trump but it’s really not. My hope is that Trump will get in but not because I like the guy but because his inauguration will trigger the most ridiculous 4 year period in the history of the US and maybe, just maybe it will cause a political earthquake big enough that the people will finally realise who they should have voted for all those months ago.